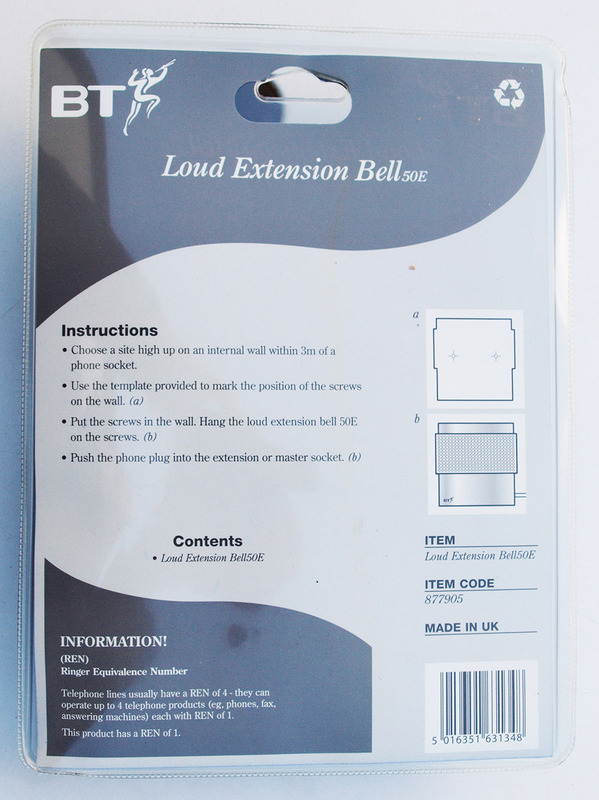 BT 50E Loud extension Bell BT internal bell no added VAT. I have over 500 in stock and have sold around 100 so far. Very useful in a workshop etc. Very handy in a large shop to allow the telephone to be heard when away from the till etc. It has a proper mechanical double bell and so gives a nice loud traditional ring.